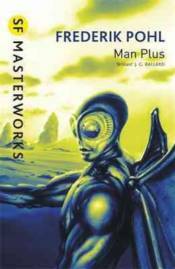 Ill luck made Roger Torraway the subject of the Man Plus Programe, but it was deliberate biological engineering which turned him into a monster - a machine perfectly adapted to survive on Mars. For according to computer predictions, Mars is humankind's only alternative to extinction. But beneath his monstrous exterior, Torraway still carries a man's capacity for suffering.